Real life has kept me busy for quite a while. Finally got a little bit of a break and decided to redo a map from an old-school D&D adventure. “Drums on Fire Mountain” (X8) seems like a really cool adventure that i’d like to run at some point, so I figured i’d start there. The broader plan is to map the whole adventure…but there are a lot of maps in this one, so we’ll see how far I get. 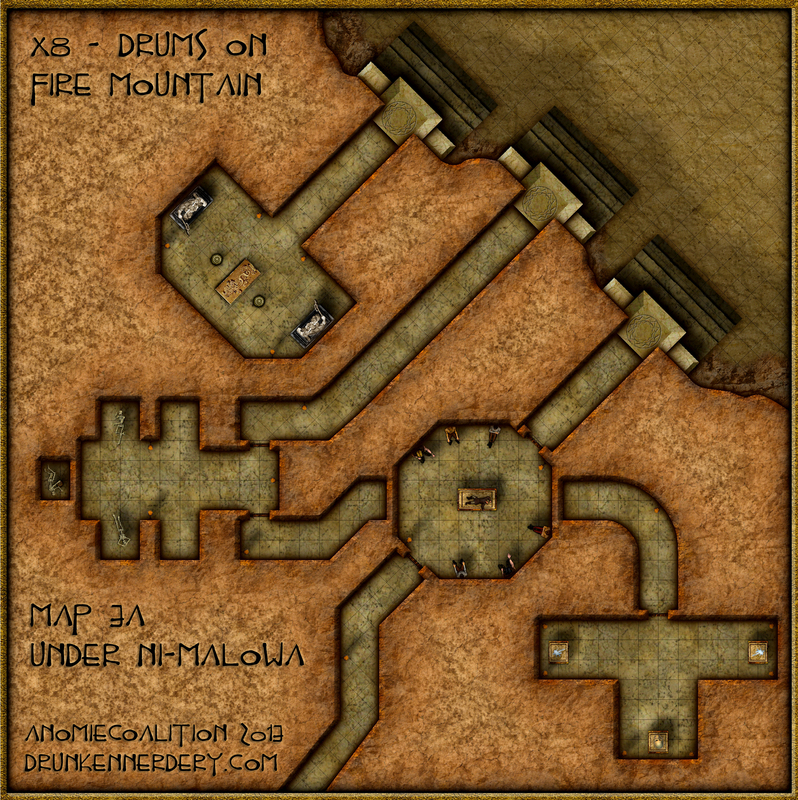 But for now, here’s a small map of the entrance to an underground temple complex. Made with CC3 and some symbols from the Dunjinni Forums. Text and post-effects done in Photoshop. 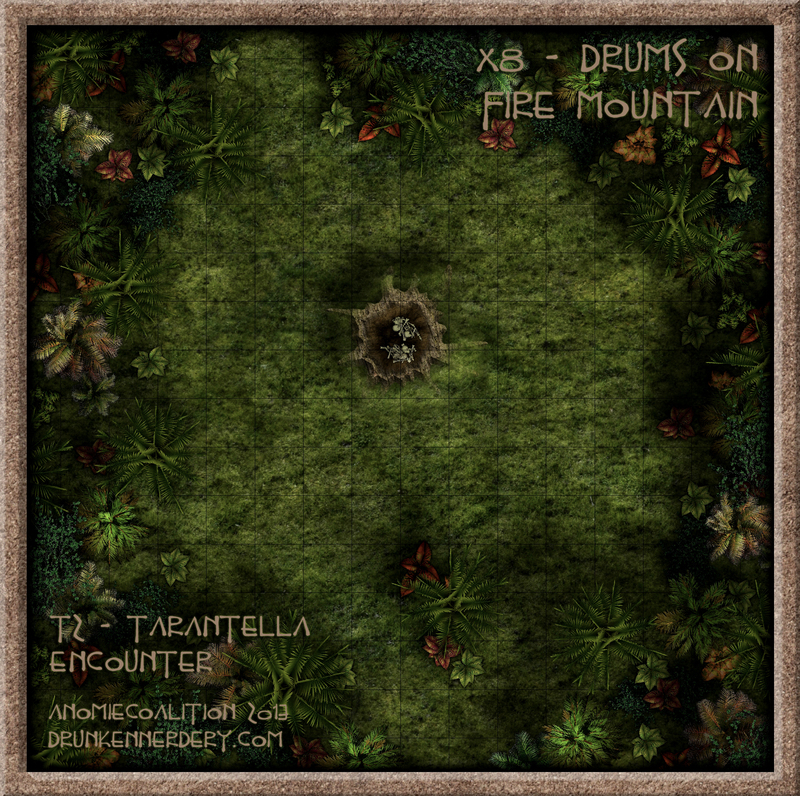 Here’s an encounter map for the adventure (T2)….the unsuspecting PCs come across a stump in the middle of a clearing…and it happens to be occupied by a Tarantella. Categories: Old-School D&D Maps | Tags: D&D | Permalink.